Article originally appeared in Gateway Macon. About 100 miles southeast of Atlanta, is a small town full of big stories and big people. The comic and the tragic, the real and the unreal, the famous and the forgotten, all blend together in the rich local lore. Here is a list of our Top 5 Famous people from Milledgeville worth mentioning. 2. JAMES WALLACE "WALLY" BUTTS, JR.
James Wallace "Wally" Butts, Jr. was a 1929 graduate of Mercer University where he played college football as well as baseball and basketball. He was an alumnus of Pi Kappa Phi Fraternity. Butts was an American football player, coach, and college athletics administrator from Milledgeville, Georgia. He served as the head coach at the University of Georgia from 1939 to 1960, compiling a record of 140–86–9. His Georgia Bulldogs football teams won a national championship in 1942 and four Southeastern Conference titles (1942, 1946, 1948, 1959). Butts was also the athletic director at Georgia from 1939 to 1963. He was inducted posthumously into the College Football Hall of Fame as a coach in 1997. Joel Godard was the announcer on Late Night with Conan O&apos;Brien. 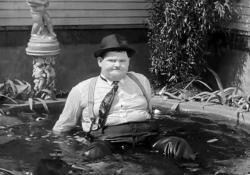 He is often featured in skits, playing himself on the show. Godard attended Emory University, graduating in 1960 with a Chemistry degree. Godard was admitted to Emory&apos;s school of medicine but instead chose show business. Before taking the job on Late Night, Godard was an announcer on NBC&apos;s Dateline. Since 2002, Godard has also served as announcer for NBC&apos;s annual telecast of the Macy&apos;s Thanksgiving Day Parade. He had a featured role in "The Guyana Tragedy", and has appeared in soap operas and commercials. 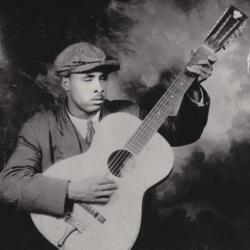 Born William Samuel McTier, McTell was a Piedmont and ragtime blues singer and guitarist. Born blind in one right eye, McTell had lost his remaining vision by late childhood. McTell&apos;s influence extended over a wide variety of artists, including The Allman Brothers Band, who famously covered McTell&apos;s "Statesboro Blues", and Bob Dylan, who paid tribute to McTell in his 1983 song "Blind Willie McTell.” "And I know no one can sing the blues, like Blind Willie McTell". Other artists influenced by McTell include Taj Mahal, Alvin Youngblood Hart, Ralph McTell, Chris Smither and The White Stripes. McTell died in Milledgeville, Georgia, of a stroke in 1959.